Intrepreneur (Intrepreneurship) is an employees working passionately in the organization whose mindset is like Entrepreneur. This is like in like growing own business, taking ownership. This requires many skills to be successful. 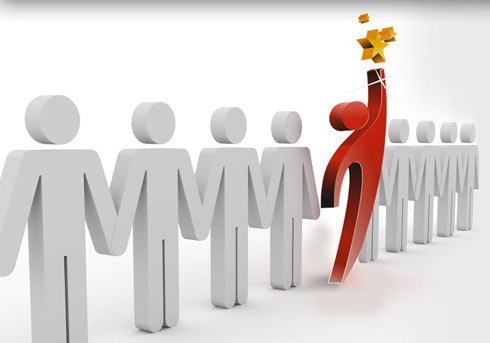 Take a look at the business personality types and find out what you need to succeed. Are you Steve Jobs, a Visionary, or an Improver like Facebook founder? Your business personality type are the traits and characteristics of your personality that blend with the needs of the business. If you better understand your business personality, then you can give your company the best part of you. Find others to help your business in areas you may not be prepared to fulfill. There are 9 key types of personality and understanding each will help you enjoy your organization more and provide your company with what it needs to grow. Begin identifying your dominant personality theme and understand how you operate in your business. 2. The Advisor: This business personality type will provide an extremely high level of assistance and advice to customers. The advisor's motto is: the customer is right and we must do everything to please them. Companies built by advisors become customer focused. 3. The Superstar: Here the business is centered around the charisma and high energy of the Superstar CEO. This personality often will cause you to build your business around your own personal brand. 4. The Artist: This business personality is the reserved but highly creative type. Often found in businesses demanding creativity such as web design and ad agencies. As an artist type you’ll tend to build your business around the unique talents and creativities you have. Each business personality type can succeed in the business environment if you stay true to your character. Knowing firmly what your strong traits are can act as a compass for your organization. If you are building a team, this insight is invaluable.